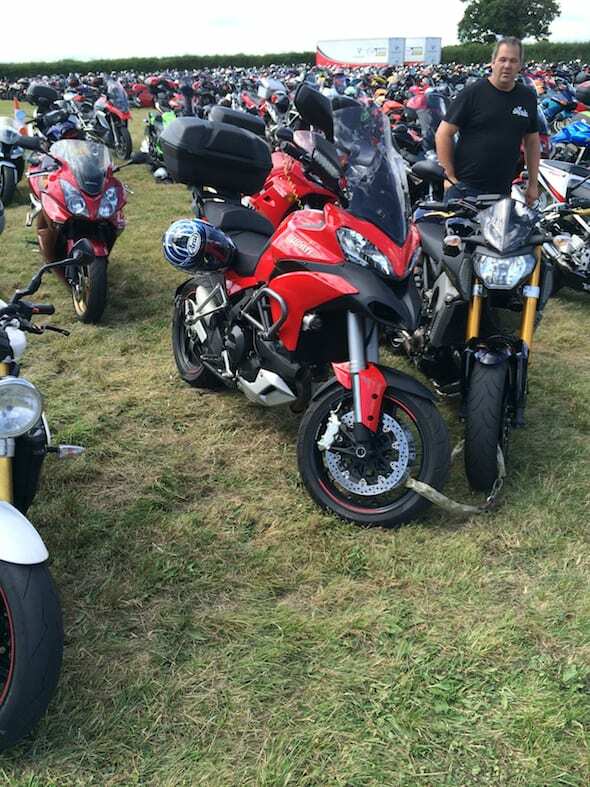 So here we are 2014 Fast Bikes and Ducati longtermer competition and I have been lucky enough to get the chance to ride three of Ducati’s finest over the next 6-9 months! My name’s Dan (DAN!) and I live in the New Forest. Over the next few months I’ll be bringing you blogs and vlogs to give you an insight into the world of Ducati ownership. First up a massive thanks to Fast Bikes, in particular Benjamin who’s put loads of time and effort into organising this and is an all-round top bloke, then to Ducati UK and Alan who have put this together for us and Mr Jinx for prepping the bikes and running through the hand over with me. So first up was a trip to Silverstone to collect the first of my rides the Multistrada S GT. I’ve got to be honest it was the bike I was least looking forward to getting due to two things; First it’s not my sort of bike and second I am vertically challenged!! Jinx had fitted the lower seat option but I was still a bit unsure when I first got on it but after a bit of adjustment to the riding modes (more to come on that in my first vlog) I managed to touch the floor and feel comfortable on the bike. This bike is full of technology and it really works, it’s fitted with Ducati’s sky hook electronic suspension which adjusts on the move depending on riding mode selected and is unbelievable. I promise you this is the smoothest suspension you could ever imagine, even in sport mode it soaks up the lumps and bumps like nothing I have ever ridden. It is like a magic carpet, I know Benjamin’s had one for an article in this month’s mag and when he was telling me about it I did think ‘can it really be that good?’ Yes he’s right it really is, if you get a chance try one. The engine is amazing too, it pulls from all revs like a train and keeps up with most sport bikes. I am a 4 cylinder man and owner of a ZX10r and love it but this V twin thing is really starting to make me re think my choice of stead. The only couple of v twin experiences I have is a couple of rides on the old man’s RSVR and a long time before that his TL1000R and I thought it felt lazy, lardy and it never really felt like you were pushing on but blimey how things have moved on!! The Multistrada in this first week has really opened my eyes, first lesson learnt don’t judge a book by its cover as my old dear says! It’s put a massive smile on my face every time I’ve ridden it and I have found myself looking for excuses to take it out, I’ve done approx 600 miles on it and I hope to double that over the next week. It really is a great bike and yes I am very surprised at how much I am loving the bike I thought I might end up hating! Please check out my upcoming vlogs and blogs that will be coming out each week. 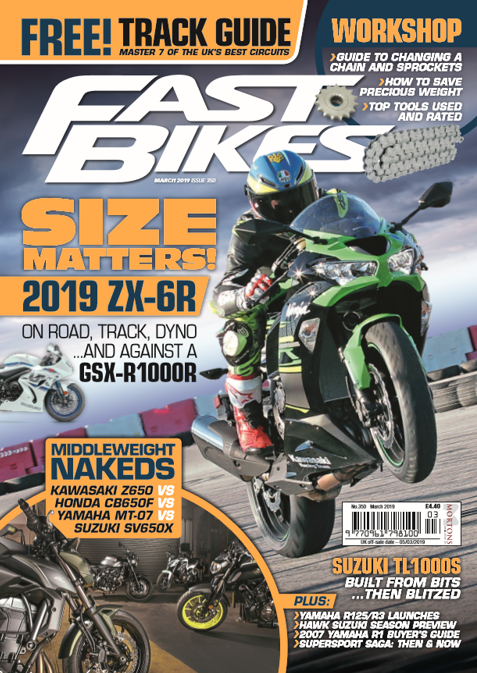 Previous Post:Fast Bikes Magazine September 2014 is OUT NOW! Cheers Dan for snapping a pic with me MT09 and me, it was a great day at Thruxton BSB and the thrash home!